Budweiser will next week run a social campaign to give away a batch of its beer that was "infused" with the passion of England football fans in a number of cities. 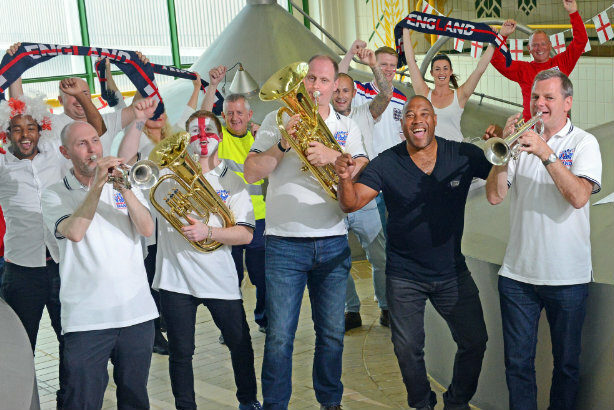 Yesterday (Thursday), former England players John Barnes and Graeme Le Saux accompanied a tanker of Budweiser on a tour across several locations, including a brewery near Preston, to meet fans and the official England Supporters Band. The fans were invited to touch the tanker, and to sing and whistle at it, "literally filling the brew with their supporter pride and passion" according to a press release by Budweiser's retained UK agency 3 Monkey Zeno (3MZ), which handled the activation. The first Budweiser Made by Fans bottle rolled off the production line later in the day, and next week the batch will be given away by the brewer via its social channels, starting the conversation on the hashtag #ThisBudsForYou. This will be handled by social and digital agency Elvis. Aina Fuller, senior brand manager at Budweiser UK, said: "We wanted to create Budweiser Made by Fans to honour football fans up and down the country and to do something truly special to celebrate the upcoming summer of sport." Former Chelsea and Blackburn defender Le Saux (pictured below signing the tanker with fans in London) commented: "I know first-hand just how powerful fan passion can be – it helped spur me on many a time throughout my career. I felt that passion again meeting thousands of football supporters across the country who helped instil their passion into this Made by Fans football brew by Budweiser."